**I saw this film on Day 2 of the San Diego Film Festival, after Project-M. It was fun to watch it with my fellow bloggers/writers Ana and Courtney, check them out, they both have great sites. The movie was interesting, but I think I had more fun with them than anything else. Has anyone else seen this? Curious to hear your thoughts! The crime drama Bad Country was directed by Chris Brinker, famously known for producing the Boondock Saints films, who died suddenly when the film was in post-production. He was never able to see the fruits of his labor, but his work was honored last year at the San Diego Film Festival and this year they were able to bring it to the festival as a special showing. They also held a Q&A session moderated by Jeffery Lyons after the film was shown with the producer and one of the stars of the film Tom Berenger. It was heartwarming to hear that his family has kept his legacy alive; they started a charity in his name whereby they give scholarships out to local San Diego students who are interested in pursuing their dreams of becoming film makers. Regardless of whether or not it was a great film, making a film is a feat in of itself, and I am glad that they chose to recognize him and honor his memory by bringing it to audiences. 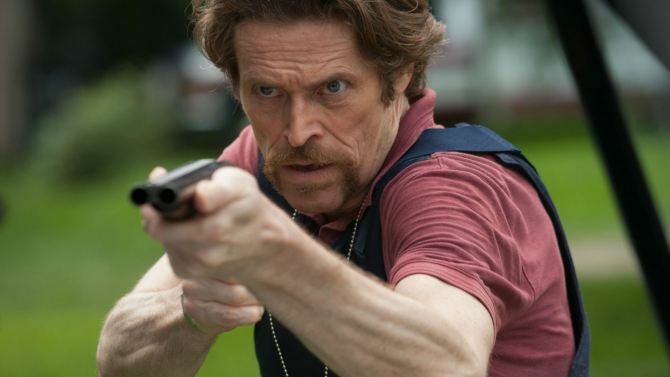 Set in 1980’s Baton Rouge, Louisiana; Bad Country is about police detective Bud Carter (Willem Defoe), he is a tough, hard-edged guy who is relentless in his pursuit of justice and bringing down the bad guys. Carter follows contract killer Jesse Weiland (Matt Dillon) on a string of theft and murders and coerces him into becoming an informant to give up his crime boss, Lutin (Tom Berenger). Weiland at this point really has no option; he just had a newborn baby with his wife (Amy Smart) and despite being a hardened criminal he does want to be there for his family, so he acquiesces. Weiland faces a lot of issues with trying to get Lutin captured. Crime bosses can always smell a rat and Lutin definitely begins to question Weiland’s motives. The movie has a lot of action packed sequences and shoot-outs, but overall the story fell flat. There were times where I felt a bit bored with what was going on and it may have been that the story was not properly told. The sequences were fun to watch, but overall they did not add any significant, impactful moments to the story. Dillon and Defoe both did well with what they were given. 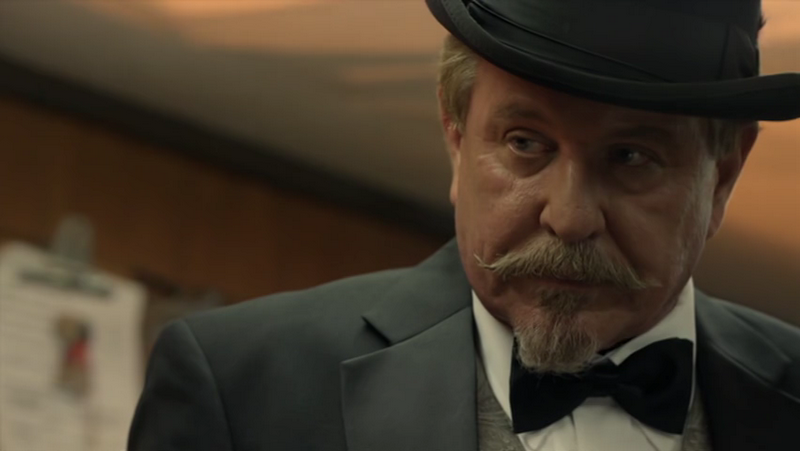 Those actors can always give spot on performances, but it didn’t really push them in any way or really show us what they were made of in regards to their craft. Defoe had a tiny role in The Grand Budapest Hotel and in it; he shined, so to correlate screen time to a good script is immeasurable. The type of story presented was almost reminiscent of Mud and The Paperboy, it had that gritty, back woods kind of feel to it, but it lacked depth to make it more interesting. I believe this film had a lot of potential and maybe some of that was lost due to the unfortunate circumstances that were behind it. Had they been able to polish the story up a bit more and develop the characters in the editing room floor that could have tremendously helped the film. If you like action movies and you want to sit back and watch a little gun slinging, then you may find this one fun to watch. Honestly, this movie was just not for me. Other than that, I would suggest checking it out when it comes on cable for free. Yeah it was okay, I don’t think this movie would get you excited! Oooh I love MUD, so if it’s in similar vein and not too violent, I’d definitely watch this. 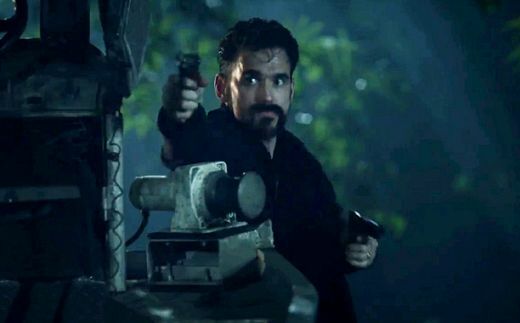 Boy it’s been ages since I saw anything w/ Matt Dillon! He doesn’t seem to have aged a day! Similar to Mud but not the same. Mud is much better. 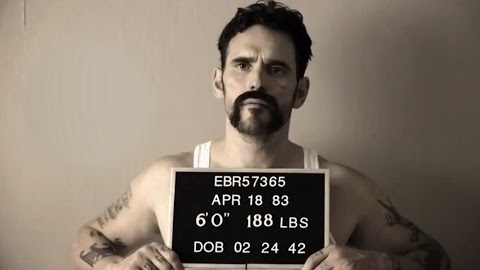 Yes dudette Matt Dillon looks great and seriously like he has not aged. Yeah this one seems to have more action than Mud. I seriously think Dillon and Keanu Reeves must’ve been drinking from the same fountain of youth! Thanks Cara, yes nothing great I don’t think you’d like it either. Sounds like a decent watch if you need a filler watch. Great work lady!